Note: I received these motors for review as a sample from Banggood. I have tried to be as honest and straightforward as I can during this review. Emax have been really influential in the racing motor scene ever sine the Dubai World Drone Prix a few years ago. Back then, they released their signature RS2205 “Red bottom” motors which were considered to be some of the most powerful motors available. 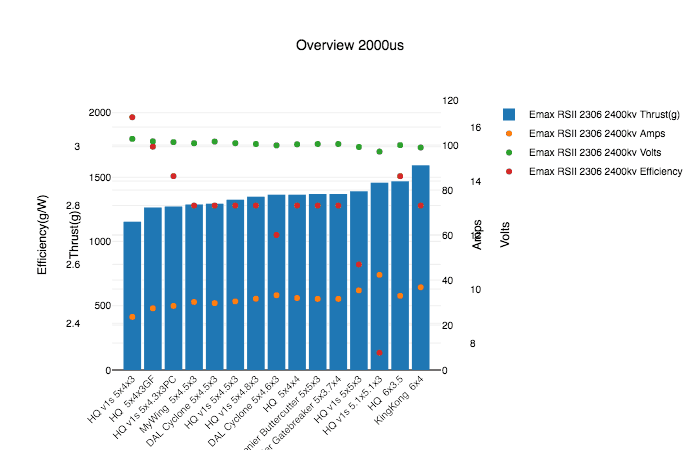 The RS2205 was followed up with the RS2205S, and now Emax have released the RSII motor. 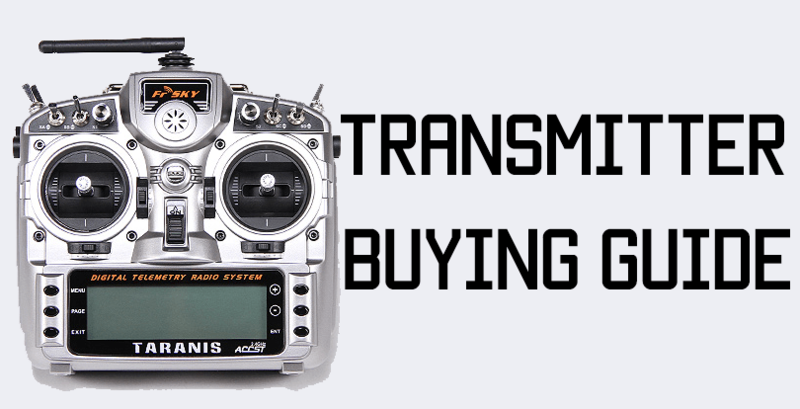 The RSII is available in quite a lot of configurations, reflecting the growing and widening demands of the hobby. There is a 2206(22 mm width, 6 mm stator height) and a 2306 version. 2206 is a more “classic” motor and has been the gold standard for racing, but more recently, 2306 has also become very popular. 2306 motors tend to be very efficient on the lower end of throttle and give a huge boost of power on the upper end. 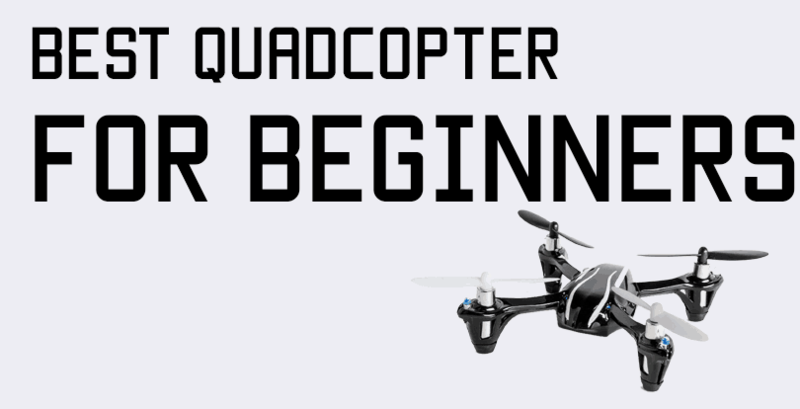 1600 to 1900 kV is a great choice for long range flying, since it allows you to spin larger props – you could use 7 inch props on 1600 kV and 1900 kV would do very well with 6 inch props. The lower kV means they will be a lot more efficient since they’re spinning slower, so you’ll be able to get much longer flight times off of a single battery. 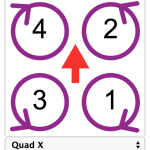 2400 kV and 2600 kV are more geared towards freestyle and racing. 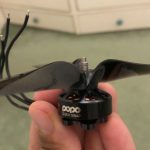 2400 kV is the sweet spot that would work for both, and 2600 kV – while you could use it for freestyling – is definitely a more racing oriented motor. I received the 2600 kV version by request, since I have never really flown a 2600 kV motor before and it would be worth trying out. Most of my motors have been 2300 or 2450 kV. 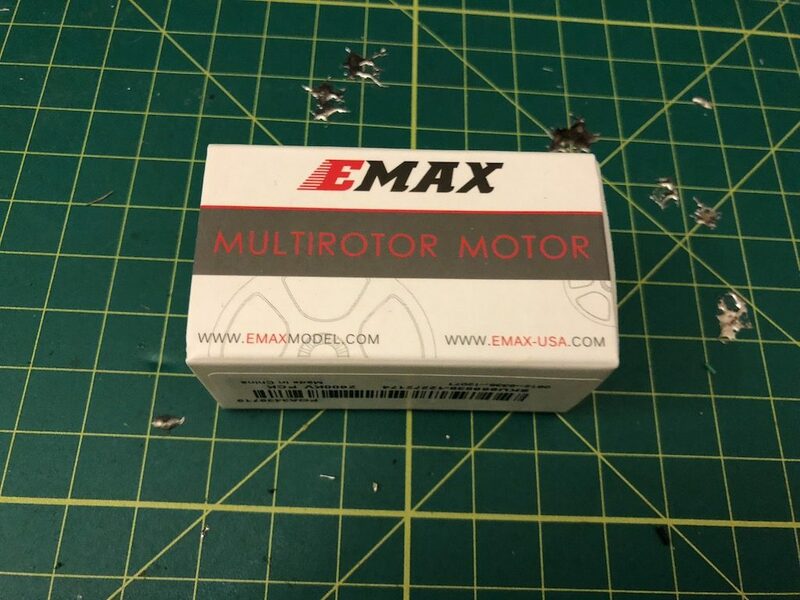 When Emax came out with the RS2205 Red Bottoms, they changed the way motors were packaged. Back then, they included a small allen key, a little prop wrench, and put it all in a neat little plastic box that you could repurpose for storing the many trinkets you collect when you FPV. The first four motors were cool, but at one point, you were just collecting plastic boxes and allen keys, and it did seem like a huge waste. Emax has done away with all of that in the RSII and you get it packaged in a tiny inconspicuous cardboard slip on cover. Inside the cover there is some thick foam, in which the motor is well protected, and three ziploc baggies with assorted bolts. Here is where Emax’s attention to detail was spot on, again! 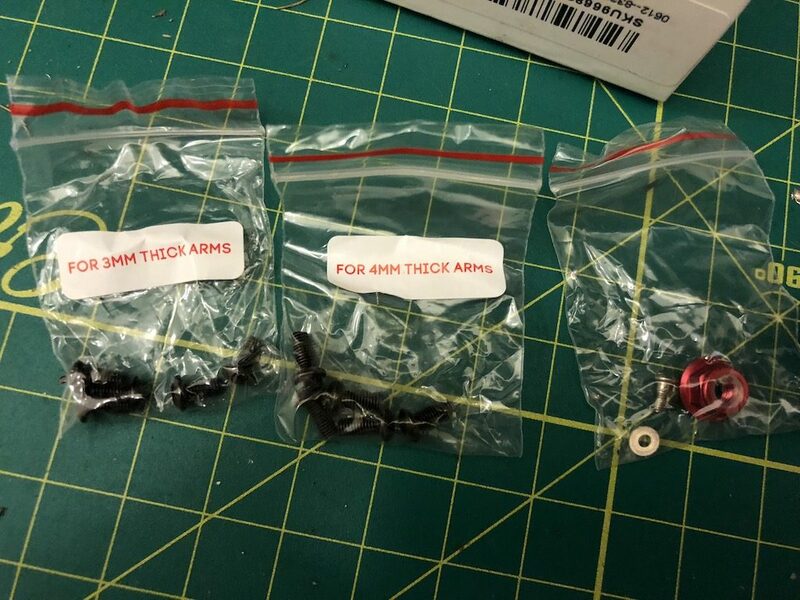 You get three baggies: one labeled “for 3 mm thick arms”, one labeled “for 4 mm thick arms”, and one little baggie with an extra set screw, washer, and the prop nut. 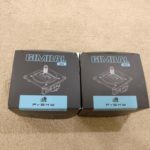 This is a huge pain point that Emax has addressed – I have had many builds where the motor screws just were not the correct size for my frame(such as the build I did with the Lumenier Popo motors), and ended up having to dig around my bolt collection for the right size bolts. The washer and set screw – which holds the bell onto the body of the motor – was also a nice touch and good to have a spare of. I personally have never successfully changed a bell mostly because I usually screw it up by crashing into metallic sand, but if you dinged a bell and wanted to replace it, a spare bolt and washer is nice to have. Also, instead of the wider 2.5mm head, Emax has gone back to bolts with the 2mm head – which is the same as most of the bolts on most frames. I suppose that was a weight saving measure (and possible cost too) given that the 2.5mm heads are quite bigger and comparatively heavier. I’ve got to say, Emax has designed a really gorgeous motor. The black and red trim gives it the feeling of an exotic sports car, and even though it’s fairly light(just 27 grams without the wires), it still feels solid in your hands. One issue I did have while building a quad with these motors was that the wires on one of the motors were bunched up too close near the bell and causing the bell to jam up against the heatshrink. I had to bend the wires down and use some pliers to “iron” them out and make them straight, and once that was done the motors spun freely. This was probably a one-off thing rather than a manufacturing defect. My prop of choice is usually the Cyclone 5×4.5×3. As you can see on the graph, most 3 blade, 5 inch props were getting thrust in the range of 1250-1400 grams. Thats a respectable amount and really, no modern motor should be putting out less than that. Remember when the original Red Bottoms managed to get 1000 grams and we were blown away? Amps are also pretty consistent in the high 30s. Since this is on the bench, the in-flight amp draw will be a little less, probably in the range of high 20s to early 30s. From the results, we can see that this is a fairly consistent and efficient motor no matter what prop you are using it with. 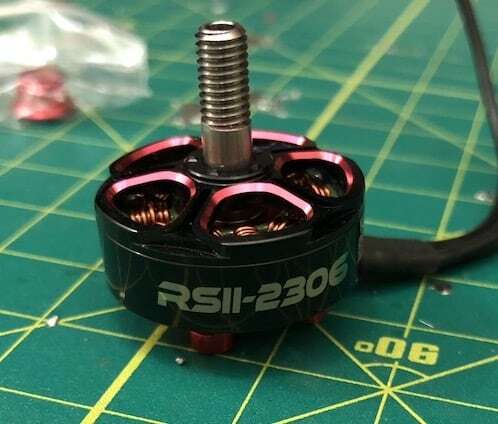 Ryan has not published any results for the RSII 2600 kV version, which is what I received. I am guessing that the 2600 kV will pull quite a bit more amps and provide a touch more thrust. In the flight performance section below, I’ll put a screenshot of my amp draw in flight at almost 100% throttle. As luck would have it, the weather has been terrible and I have just not been able to get out and fly this build. However, from what I’ve seen by others, the motors seem to be decently – but not ridiculously – powerful. The 2400 kV version seems like a sweet spot for freestyling and the 2600 kV one would do well in races. AndyRC did a speed test with the 2400 kV motors on one of his builds and he managed to get a speed of 100 mph, though the motors are quite big so they are quite amp-hungry. Hopefully once the weather clears up I’ll have some of my own experience to share, too. The RSII is a fairly expensive motor at $25 a pop, but when you consider that you’re getting a 2306 motor that weighs just 29 grams, it kind of justifies the price. Emax have done a superb job in cutting down the weight of such a large motor. Aside from that, it’s what you would expect from a high-quality motor: well-built, capable of handling the amps, and powerful. If you’re looking to board the 6S train you can go for the lower kV versions. The lower kV versions will also work with larger 7 inch props on 4S. 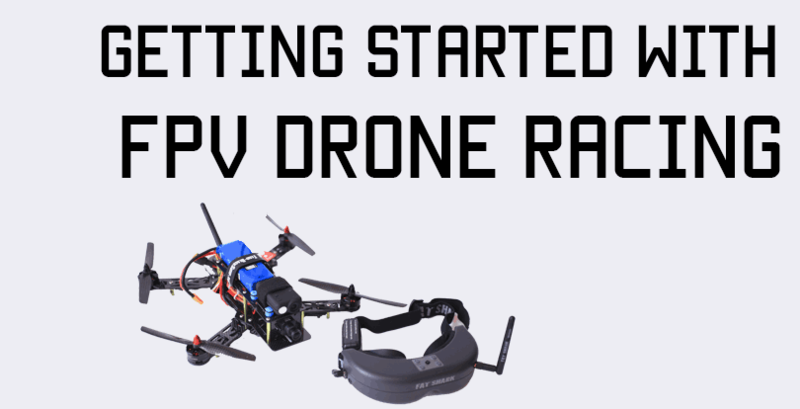 The wide variety in kV allows many different kinds of pilots the chance to fly these motors, and as 6S is becoming more popular more and more manufacturers are releasing low kV motors to handle the extra voltage.